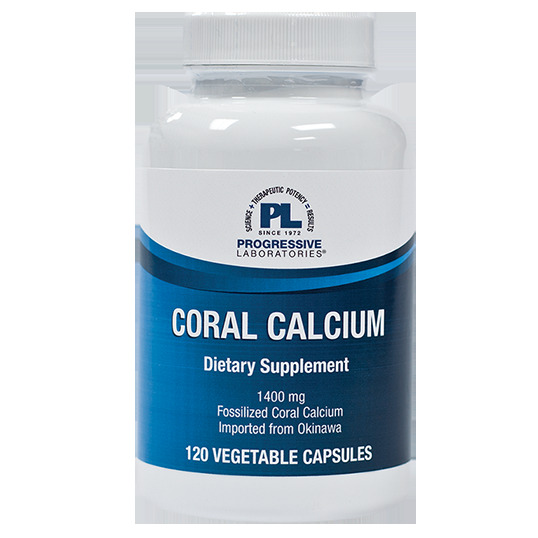 Coral is an excellent mineral supplement because the calcium and other minerals are easily absorbed and assimilated by the body. Coral minerals are organic since they are predigested by small sea animals that ingest the ionic ocean minerals and secrete them into a coral formation. Inorganic minerals are very difficult for the body to assimilate, like trying to digest little rocks. Coral provides a full-spectrum mineral supplement containing 74 minerals. The minerals found in high quality fossilized Okinawan coral used in this product are similar in proportion to those found in the human body. This natural balance is important because minerals work synergistically, each mineral requiring other minerals to perform its function. Calcium is the most abundant mineral in the body. Calcium intake is essential for the formation and maintenance of healthy bones and teeth. When calcium intake is insufficient, the body takes the calcium it needs from the bones, causing the bones to weaken. Magnesium, calcium and phosphorus function together in bone formation, muscle contraction and nerve transmission. Magnesium is very alkaline and helps to maintain the body's proper pH. Vitamin D is added to aid in the absorption of calcium from the intestinal tract and the breakdown and assimilation of phosphorus. hydroxypropyl methylcellulose (vegetable capsule), rice flour, methocel, vegetable lubricant. Take two vegetable capsules twice daily, or more, as directed by a health care professional.